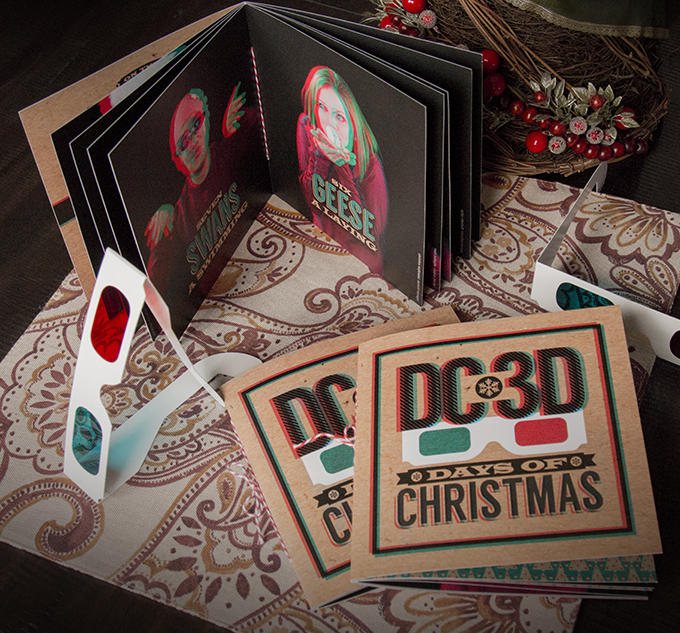 Happy Holidays from Demi and Cooper Advertising (in 3D)! This year at Demi and Cooper our tree sat bare for a few weeks, waiting for some holiday love. That’s because the DC elves were busy on a separate holiday project that takes precedence—the annual spreading of cheer through our holiday card. Let’s get real here—we’ve got a high pressure situation when the elves make a living off of being creative. Add to that the fact that we’ve been sending holiday cards for 20 plus years, and the elves have officially become citizens of Outdo City. But now, our cards have been mailed, our tree is bedazzled, and our elves can go take an 11 month nap—they deserve it. Without further ado, we present our holiday card from another dimension (literally). The lucky recipients can don the 3D glasses that came with it and enjoy! Whether you’re naughty or nice, if you’d like to be added to our list for next year, contact us.